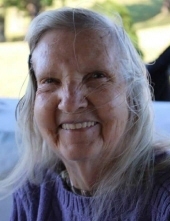 Dorothy F. Stinson, 86, passed away Saturday, September 8, 2018 at University of Louisville Hospital surrounded by her loving family. She was born September 14, 1931 in Louisville, the daughter of Charles Henry and Lula Bell Boone Heck. She was a homemaker and a member of Highland Baptist Church in Edwardsville, IN. She is survived by her husband of 66 years Carroll Stinson of Corydon; one son, Dennis Carroll Stinson of Greenville, IN; 6 daughters Deborah Carpenter of Milltown, IN, Cheryl Thompson of Lanesville, IN, Theresa Masden (Phillip) of Floyds Knobs, IN, Sandra Emery (Bruce) and Karen Setters (John) both of Corydon and Ruth Cook (Randy) of Leitchfield, Kentucky and more than 25 grandchildren and many great grandchildren. Funeral services will be at 1 PM Monday, September 17, 2018 at Gehlbach & Royse Funeral Home in Corydon. Rev. Earl Clark and Sanford Nash will officiate. Burial will be in Pfrimmer’s Chapel Cemetery. Visitation will be held from 1 PM to 8 PM Sunday, September 16, 2018. The family suggests memorial gifts be made to either Smile Train at PO Box 96231 Washington, DC 20090-6231 or Samaritan’s Purse: Operation Christmas Child. To send flowers or a remembrance gift to the family of Dorothy F. Stinson, please visit our Tribute Store. "Email Address" would like to share the life celebration of Dorothy F. Stinson. Click on the "link" to go to share a favorite memory or leave a condolence message for the family.